Please note: These dampers are designed and built shorter than OEM length and are not legal for SCCA Stock Class This kit should not be used with Stock Class spring perches. MCS shocks designed specifically for SCCA can be found HERE. 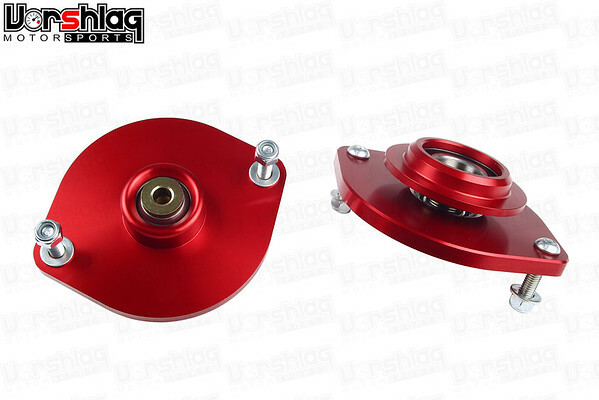 CAMBER PLATES: We highly recommend Vorshlag camber plates be used with MCS damper kits. 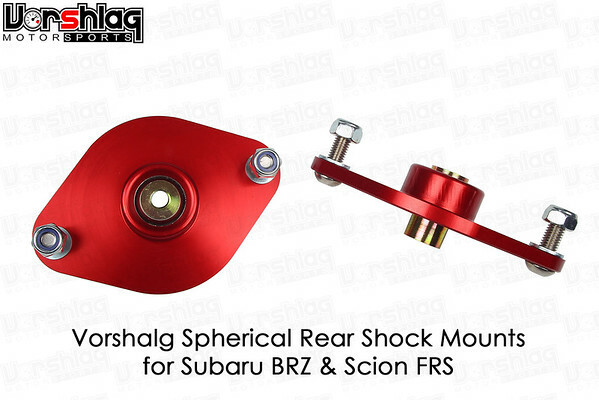 You can easily adjust camber track side with Vorshlag camber plates. Over-sized spherical bearings are designed to withstand the rigors of street and track abuse. All components are plated for maximum corrosion resistance and long life. Please see the product entries on this website for more information about the Vorshlag camber plates and spring perches. Ordering this option includes the associated Vorshlag upper spring perches made to work with these plates, 60mm springs and MCS struts. These new shock mounts give us the opportunity to optimize the suspension one step further utilizing our radial bearing spring perch as well! Adding a the radial bearing spring perch eliminates any spring bind created when the shocks and springs are compressed.